This page is about the aircraft F-86F-2. For other uses, see F-86 (Family). The F-86F-2 Sabre is a Rank VI American jet fighter with a battle rating of 9.0 (AB/RB/SB). It was introduced in Update 1.35. In RB, speed is life on this plane. First thing that should be done after taking off is gaining at least 800-900 kph IAS in level flight and zoom climbing to around 2 km(or we can fight even at the deck, all depends on situation). Maintaining speed at 800 kph is very important. BnZ is main tactic, don't engage in vertical with MiG-15bis. Sabre easily outdive MiG-15bis(Sabre have higher top speed, which means MiG-15bis won't be able to catch Sabre in level flight/dive). Avoid flying slow and turnfighting. The F-86F-2 was the designation given to 10 aircraft (4 F-86E and 6 F-86F) modified to carry the M39 Revolver cannon in October 1952. They were fitted with larger and strengthened gun bays to make them able to receive the new cannons. They were tested at Edwards AFB and the Air Proving Ground at Eglin AFB. Eight of these aircraft were then shipped to Japan (two were lost during testing due to the compressors ingesting excessive propellant gases from the cannons). Seven of these aircraft were then deployed to Kimpo Airfield as "Project GunVal" for a 16-week combat field trial in early 1953. 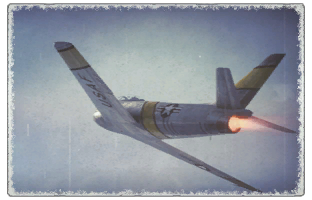 The F-86F-2 is the official designation for F-86E and F aircraft that were retrofitted with strengthened and enlarged gun bays to carry the new T-160 cannon developed from the captured Mauser MG 213, a German autocannon which never saw service. The aircraft were flight tested at Edwards and Eglin Air Force Bases. The aircraft were then relocated to Kimpo Airfield for tests in actual combat. Two aircraft were lost after the engine ingested excessive amounts of exhaust gases from the cannons. 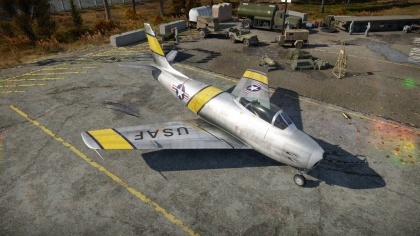 The F-86F-2 is the designation for four F-86E and six F-86F aircraft that were retrofitted to carry four 20mm T-160 (later designated M39) revolver cannons. The cannon was derived from the Mauser MG 213, a prototype aircraft cannon developed by the Germans at the end of World War II, which also served as a basis for the British ADEN and French DEFA cannons. The aircraft were deployed to Kimpo Airfield for trials in combat in 1953. Despite losing two aircraft after compressor stalls from ingesting too many exhaust gases from the new cannons, the M-39 cannon became the standard armament for the F-86H, a fighter-bomber variant with a more powerful engine. This page was last edited on 6 April 2019, at 19:46.